If you have ever attended the Asheville Christian Writers Conference, then you know the first face you see when you walk in the door, is Dee Dee Parker. Dee Dee has been a long time supporter of Christian Devotions and the Asheville Christian Writers Conference. She and Beth Fortune form an unbreakable prayer chain BEFORE you ever walk through the door. And if you know Dee Dee personally, then you know she has a prayer bush in her yard that is filled with ribbons. Those she prayers for are on the bush. So when Christian Devotions got a call from Cecil Stokes with this very important need, we couldn't help but stick our hand in the pot. With the help of a wonderful member of a church in Tennessee, we have found a wonderful van that will be perfect for Dee Dee and Mr. Jim. Our conferees have long been noted for their generosity so we're asking for your help. Any small donation to the Go Fund Me for Dee Dee and Mr. Jim will help us purchase this van. The dealership is holding the van for us so we have to raise the funds quickly. Thank you for your kindness. And I know you'll gain a special hug from Dee Dee when you see her in February. 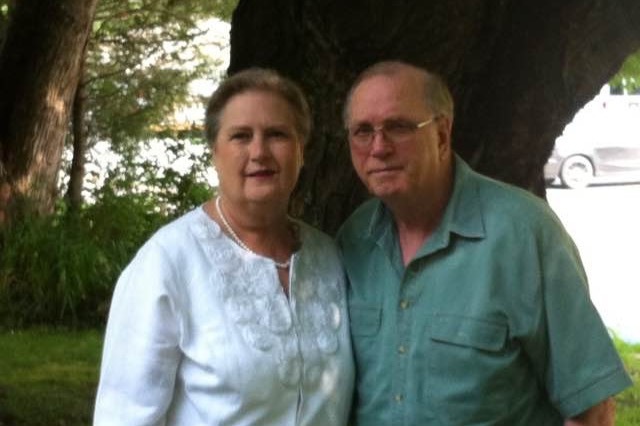 Friends, we have a wonderful opportunity to support our dear loved ones Dee Dee and Jim Parker. As most of you know, the Parkers have served the church, their community and their friends for their entire lives. Now, we can be the hands and feet of Christ and help them. In the past few years, their health has deteriorated significantly. While they would never complain, we have discovered that they are both having great difficulty getting in and out of their car because it is so low to the ground. It is painful on their knees and hips and we can provide the answer to their prayers. A well-maintained 2005 Toyota Minivan has been found for them and would allow them to not only have reliable transportation but a vehicle they can slide in and out of without continuous pain. Will you help us purchase this gift for them? Thank you so much for your donation, your prayers and for sharing this link if you desire. Bless you all! Help us help a wonderful woman.